Sacred Hearts Academy - The Blog: How Does The Garden Grow? Lush & Green! Gardening provides a dynamic environment in which students observe, discover, experiment, nurture and learn! Students in the Lower School can now delve into this exciting world with second grade teacher, Veronica Prislin, who is conducting gardening lessons from 2:30 to 3:15 p.m. each week on Monday and Thursday. Prislin will use the garden as a laboratory to introduce students to scientific methods through plan-related experiments. This gardening endeavor is part of a wide array of after-school options available for Lower School students to explore – from Musical Theatre to Smart Karate to Violin. WANT MORE DETAILS OR TO SIGN-UP? 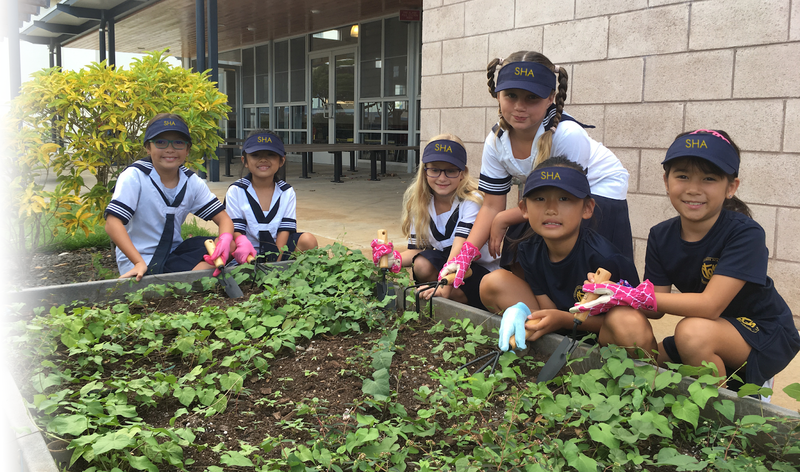 Parents of students interested in exploring Gardening and other After School Program options should contact Melanie Ah Soon at mahsoon@sacredhearts.org.